Foods from childhood can evoke wonderful memories not just because we love the taste but also because it is associated with special people or events. Do you have a favorite dessert from your childhood? 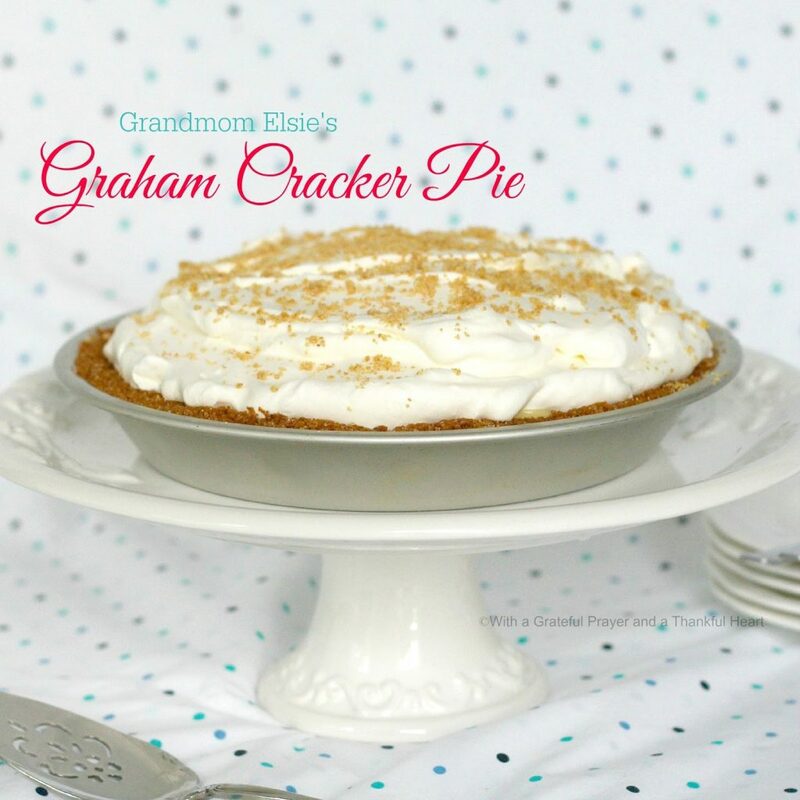 My husband remembers his grandmom Elsie making Graham Cracker Pie for nearly every backyard cookout. It is really a humble pie of creamy vanilla pudding poured into a pre-baked graham cracker crust. 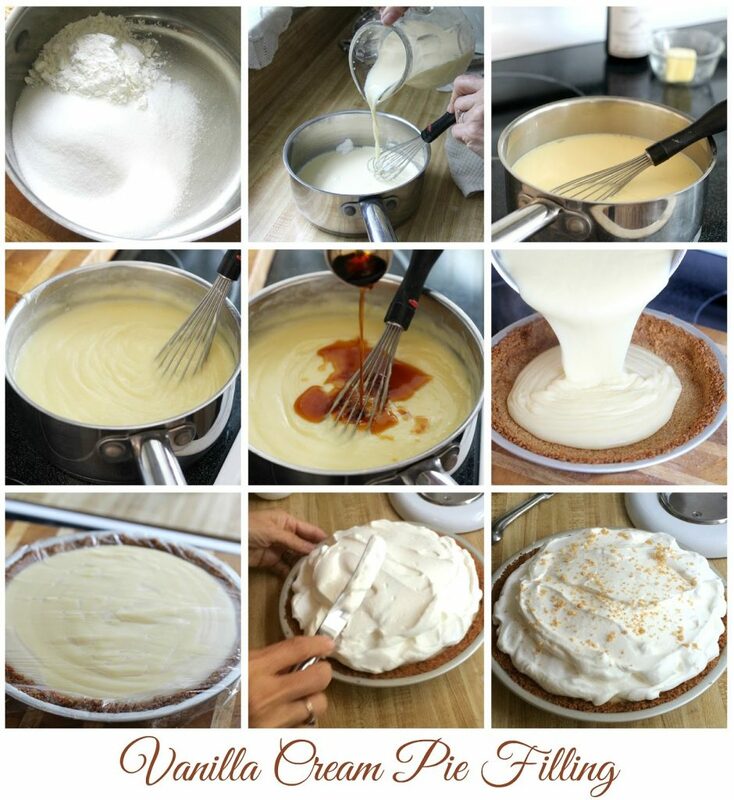 Often times the pie is topped with meringue so the unused egg whites aren’t wasted. Grandmon preferred lightly sweetened whipped cream sprinkled with additional graham cracker crumbs. 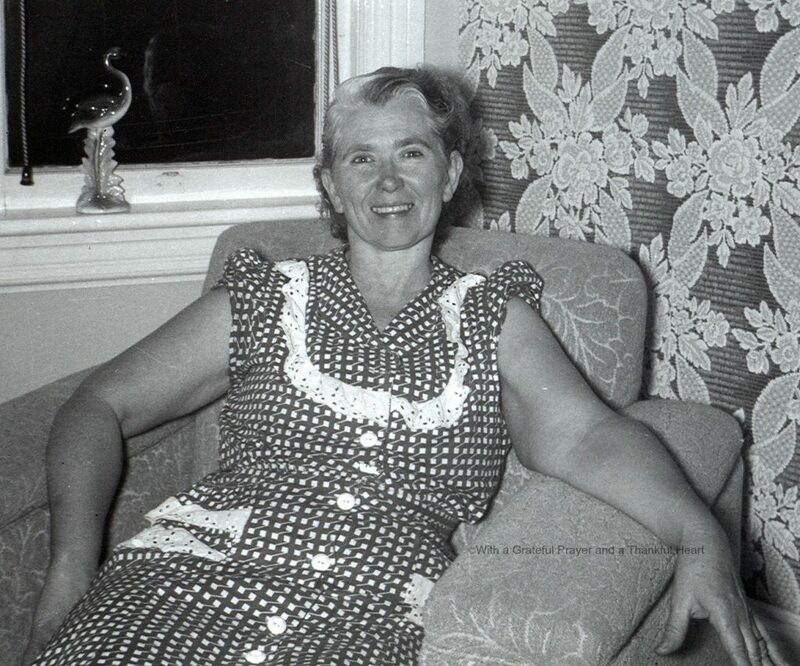 I imagine Grandmom Elsie baked lots of pies in her day as she and her husband raised eight children. 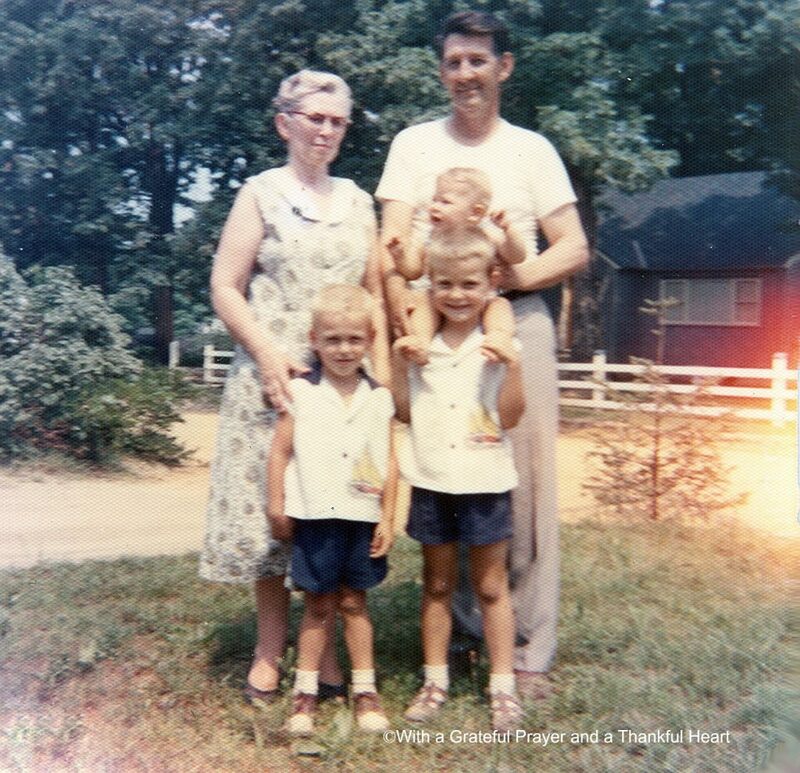 John (on right with baby on his shoulders), his brother on left with Grandmom Elsie and Grandpop. 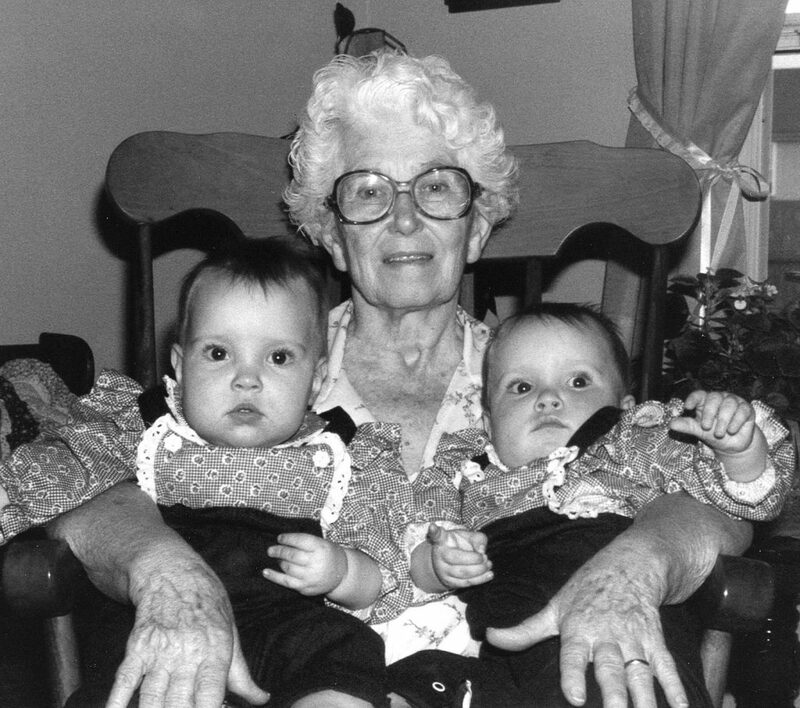 Here she is holding my twin babies (her great-grandchildren) as she told me of her own twin sons born many years prior. Stir together, sugar, cornstarch and salt in sauce pan. Blend milk and egg yolks; gradually stir into sugar mixture. Cook over medium heat, stirring constantly, until mixture thickens and boils. Boil and stir one minute. Remove from heat; blend in butter and vanilla. Immediately pour into baked pie shell; press plastic wrap on to filling. Chill pie thoroughly, at least two hours. When pie is completely cool, top with whipped cream. 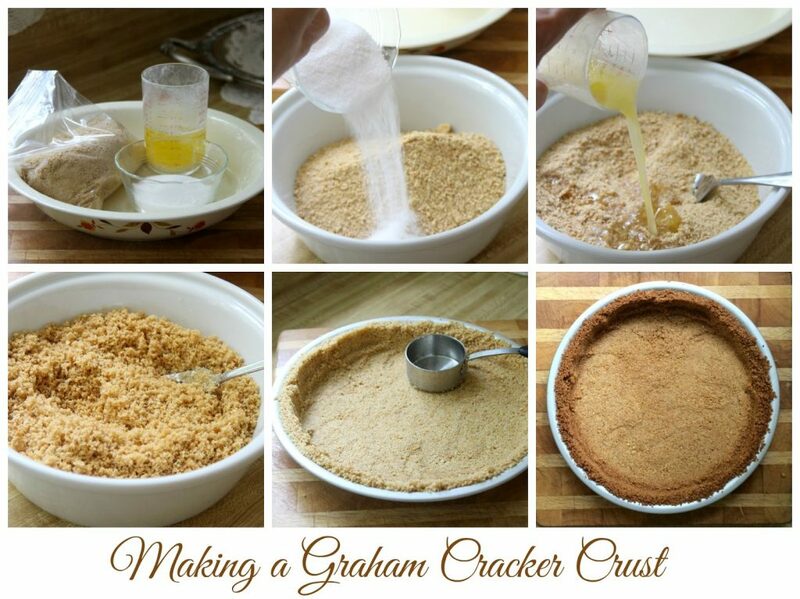 Sprinkle with remaining graham cracker crumbs. Refrigerate any unused portion. What a wonderful post, Lorraine! 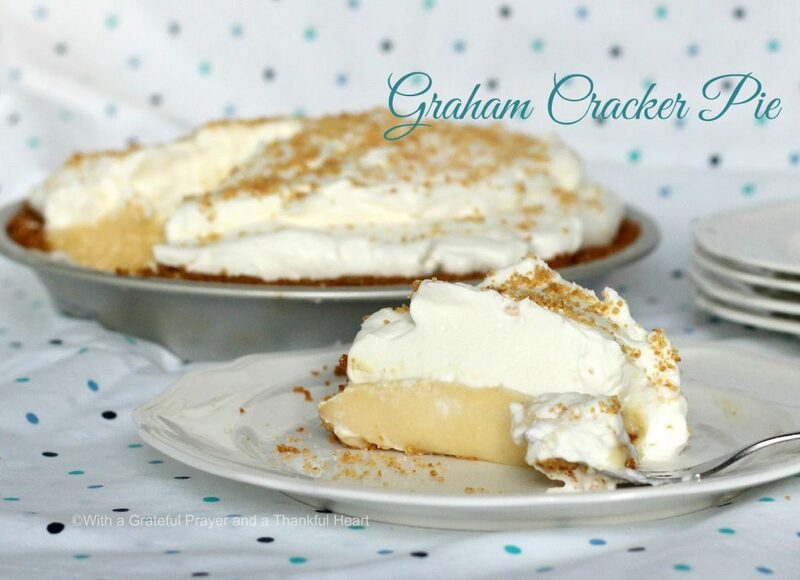 My mom used to make a graham cracker pie that was my grandma's recipe. It was a favorite of my Grandfather. This recipe sounds like the very thing. Thanks for the lovely memories. My grandmas made some really delicious recipes in their lives, but I must admit, your pie looks better than any of them, and it is one of my favorite desserts. Thanks for sharing it. 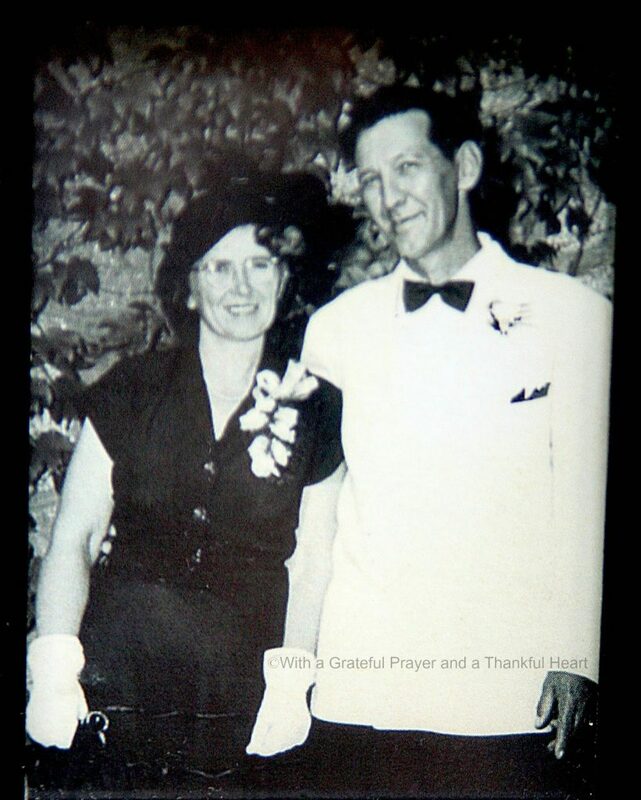 My Mamaw was an awesome cook and baker. Her strawberry cobbler is a "sweet" memory. 🙂 This pie looks yummy! The pie looks so good. I think it's really sweet how so many things in life remind us of our past or a loved one–whether a book or a recipe or a piece of furniture. The pictures are great and I especially like the first one showing her in her "housedress." Remember those our grandmas wore? This looks so good and what wonderful pictures. My first thought was my mother's honey cake, traditional at the Jewish New Year. My mother was a great baker and I have so many memories of family get-togethers enjoying her desserts. Oh, I have to make this. It looks wonderful! This sounds like a wonderful pie to bake! I love recipes with a story attached to it. We have a similar pie here in western Alberta called Flapper Pie. Thanks for sharing this! Well, let me just say that Grandmom Elsie's pie looks so delish! Sweet family photos always add a sweet addition too and thank you for sharing this, Lorraine! This pie looks wonderful, my mother used to make wonderful pies and the BEST rice pudding. We had rice pudding on Christmas Day as it was our first Christmas without her. I love to look through handwritten recipes that belonged to my mother and grandmother. I expect you enjoyed this pie! What a lovely post! The photos are so precious, and the pie sounds delicious. Apple pie reminds me of my great-grandmother, whom I called Mum. She was a part of my life until I was nearly 30, as she lived to the ripe old age of 96. I recently was given the gift of my grandparents' home movies from the 1940's. There are a few shots of Mum peeling apples for her famous pie. She was a master with the paring knife, as she quickly peeled each apple, most of the time in only one long peel. Thanks for sharing this lovely memory.